The beautiful south is coming to Mt Albert! 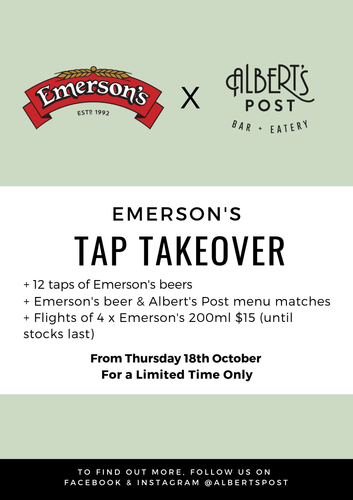 Emerson's Brewery is taking over all 12 taps at Albert's Post from Thursday the 18th of October for a limited time only. 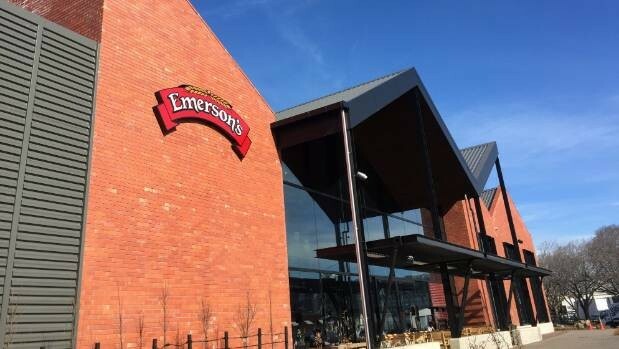 Every Emerson's beer will be matched with a delectable dish from the Albert's Post kitchen. We'll be doing special flights with snacks all week and you can try a few new things or just your tried and true favourite Emerson's drop. Be there!